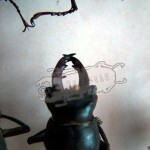 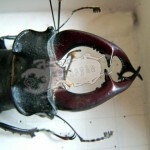 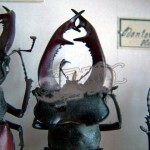 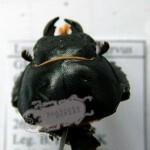 All collectors, as well as breeders, are aware that the size of beetles in breeding as well as in nature varies greatly. 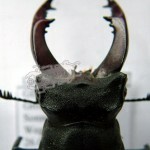 In this context, Lucanidae are of special interest, as with the size of the males the size and look of the head and mandibles also changes. 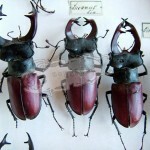 It is not surprising that a small male and large male of Lucanus cervus can easily be mistaken for two different species. 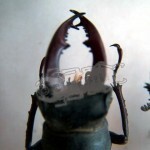 In the wild, the extremely large and extremely small males are rather rare, as they are a sign of exceptionally bad or good conditions that these specimen encountered during their development as larvae. 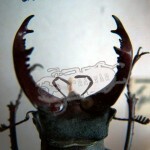 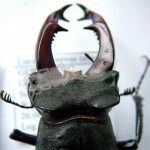 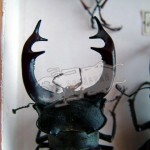 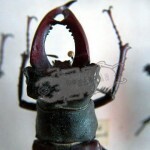 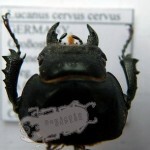 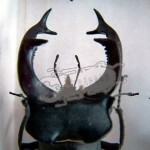 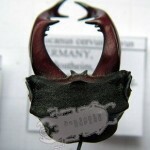 To give an overview over the natural size range of Lucanus cervus cervus, I have photographed the head capsules of different males in the Museum of Natural History of Aschaffenburg. 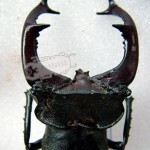 The following pics show the variations in the mandible and head size of different Lucanus cervus cervus specimen, the biggest being about 80 mm the smallest about 50 mm. 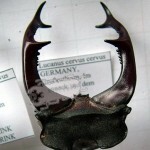 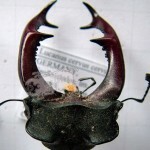 Some pictures are of head fragments of Lucanus cervus cervus that were found around Frankfurt Main in 2006. 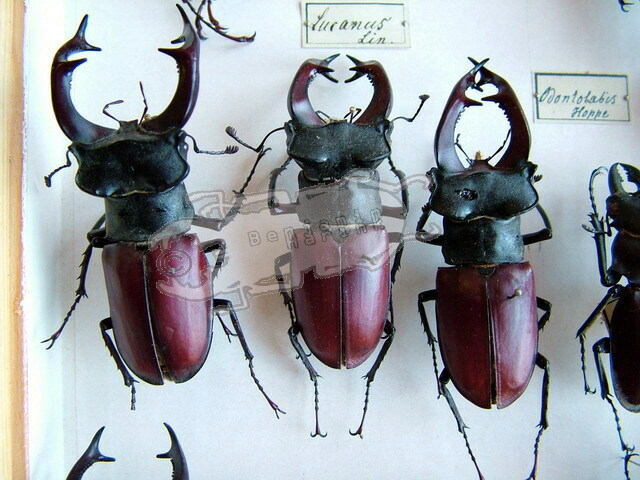 Birds really like to eat these beetles and it is quite a sad view to see all the dead beetle pieces. 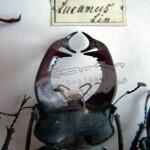 Female fragments are rather rare. 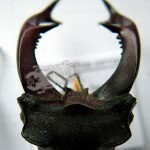 The reason for this might lie in the mating behaviour of Lucanus cervus, where the male guards the female from top and thus would be grabbed by a predator, giving the female enough time to escape.